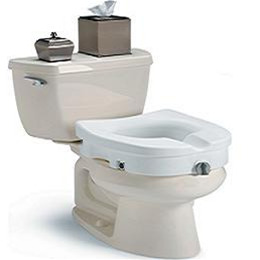 The Invacare Raised Toilet Seat offers a seat that provides more stability for the user. It comes with a contoured seat for the user. The seat has a locking mechanism that tightens easily with one hand. This seat offers a 300lbs weight capacity.